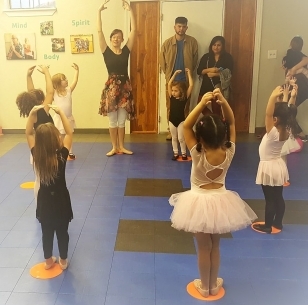 ​Watch your child's confidence soar as we introduce the age appropriate techniques of ballet! Join our 4-week introduction to ballet class with a dance showcase on the last day to show off what we've been learning!! Instructors: Ms. Jill & Celeste together our instructors have over 20 years of dance experience including ballet, jazz, modern, hip hop, and several other styles of dance. We look forward to learning and having fun together! Class session is March 26, 2019-April 16, 2018! 4-5 YR Olds- Register HERE! 6-8 YR Olds- Register HERE! Jazz or ballet shoes are required, but otherwise just come ready to have fun! !